Happy Wednesday! Today’s post is about my recent beauty buys I’ve been loving! It’s been a while since I did a beauty haul. 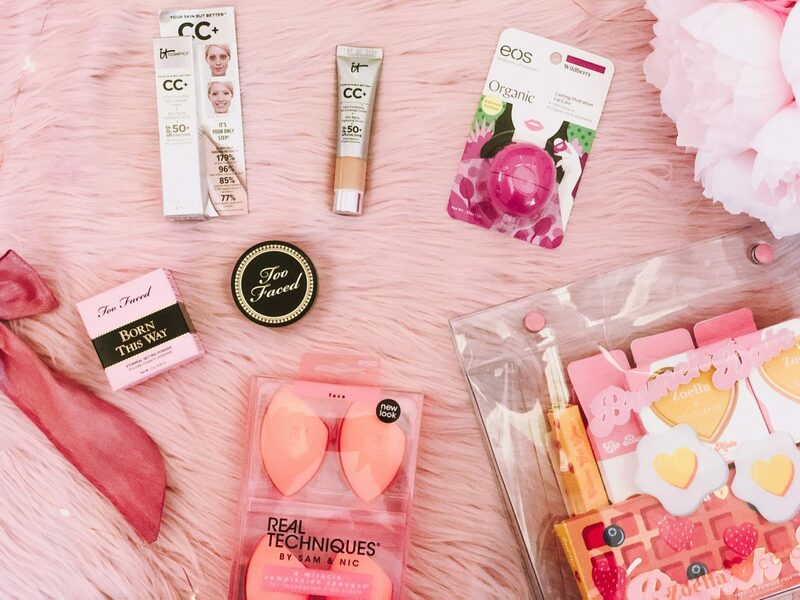 The last time I did a haul like this was back when I did a pretty big Ulta haul I wrote about here. I’ve been on a mini beauty spending ban and only been buying clothes for outfits and the upcoming season. I was a bit bored with my makeup routine and needed to try new skincare products so over the last month or two I’ve been buying a few new bits and trying it out. Some I’ve used and been loving and some are repurchases so I already rave about those. 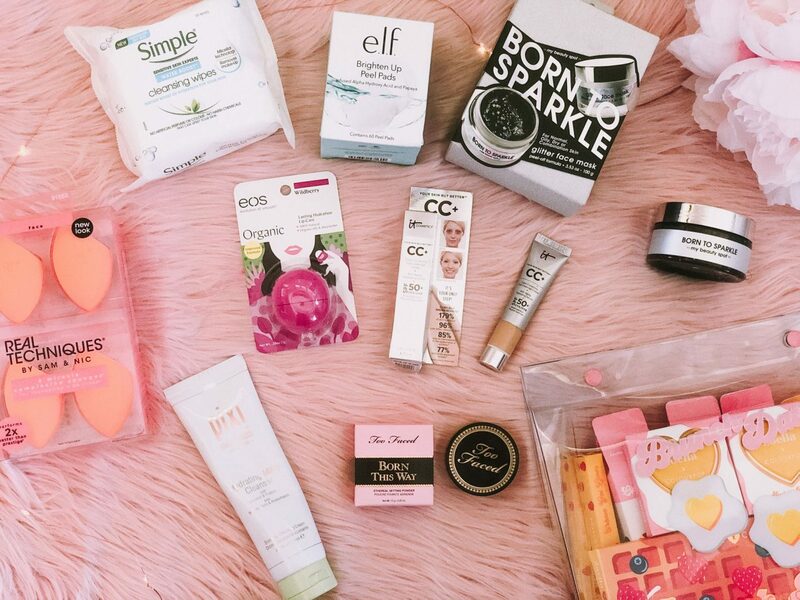 So here are my recent beauty buys I’ve been loving that I had to share! This is actually my third pack of these wipes. I don’t know why but I always seem to choose them. It works and removes my makeup. i was in TJMaxx last month and saw these and I knew I was running low so I picked them up especially at that price. I saw this on Twitter by Pixi and it was just what I was looking for. My skin has been so dry and flakey from the cold winter weather and so I needed a hydrating cleanser to remove my makeup with and use it as a double cleanse. So far I love it and it has been doing so great. Next is another TJMaxx purchase and when I read the box it sounded something I needed. My cheeks have been so dry and this would do the trick. I’ve only started using it and so far so good. I want to give it a proper test then a review and maybe updated skincare routine as my last one was almost a year ago which is here and a lot has changed since then. The last item is yet another TJMaxx purchase. 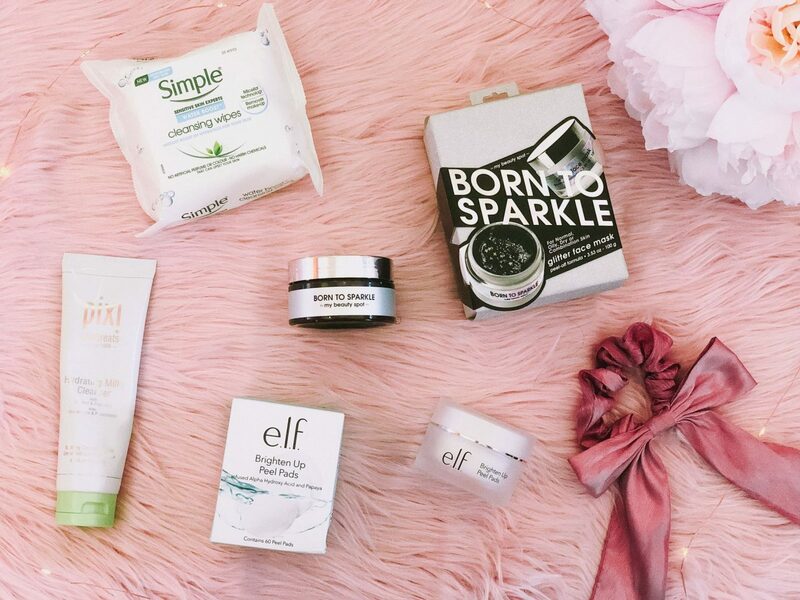 who knew they had some great skincare picks at such an affordable price. As you can see I went a little ham on buying new products and all of them have been great. Dare I say this has been my favorite purchase out of the three because I’ve used it the most and it is so cool. I’ve always wanted to try a glitter peel face mask and I saw this one and the price and snatched it up. Now every Sunday I have a mini spa and pamper evening and use this while watching a movie and it is so fun to peel and so satisfying. Plus it leaves my skin so soft as well so I’m really loving this. I bought this the first of February and it’s been my go to everyday foundation. I saw many recommend it so I finally decided to try it when my current foundation ran out. I bought the mini size to try out and I love it and it’s perfect for everyday. This was bought right after the cc cream. It was on sale so I got it for like $18 including taxes and shipping so I think it was a good deal. I’m liking it and it’s been setting my makeup nicely but I need to play with it some more to really get the full effect. Since every part of me is dry I needed a new lip balm and I just got this at Target. It was a pretty color and I love the pink strawberry one and it’s running out so I just got this one to try. These were at Marshall’s as I saw them and needed new ones. I replace mine quite often and I saw this 4 pack and it was on discount so who couldn’t pass that up. Such a great bargain and these are my fave things to apply my foundation with. The last item I’m not going to talk much about as I have a full review post coming Friday! Those were my recent beauty buys I’ve been loving! It’s quite a mini haul but some products I’ve been really enjoying. I wanted to know if you have bought makeup or skincare products from TJMaxx or Marshall’s because I didn’t know how good and cheap things were. I made sure it was unopened as I heard rumors that it can be. So far so good and I love having new products to try again. So I hope this inspired you to try something new and if you have I’d love to know what you been loving. 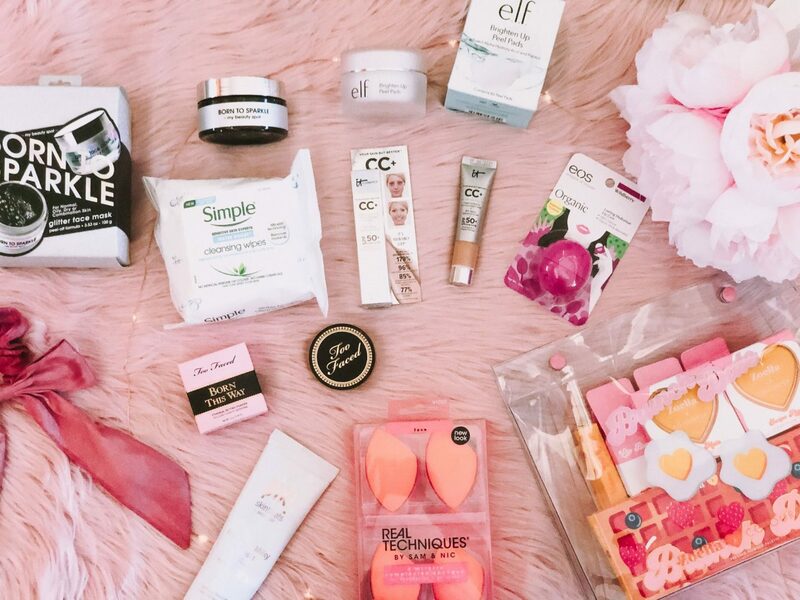 That was all my recent beauty buys I’ve been loving! I’ve heard such great things about it cosmetics, but have only tried one of their mascaras & I wasn’t too crazy about it! Looking forward to trying more! I’m a huge fan of the Real Techniques sponges. They were the first ones I bought as an option to the overpriced Beauty Blender. They are still a favorite, along with the Ecotools sponges. I haven’t really bought anything new lately but it’s always nice to see hauls and what people have been loving because then it creates a memory in my head and whenever I need something or see something interesting I remember if people loved it or not. elf’s make up is totally underrated! I love their brand for most things. 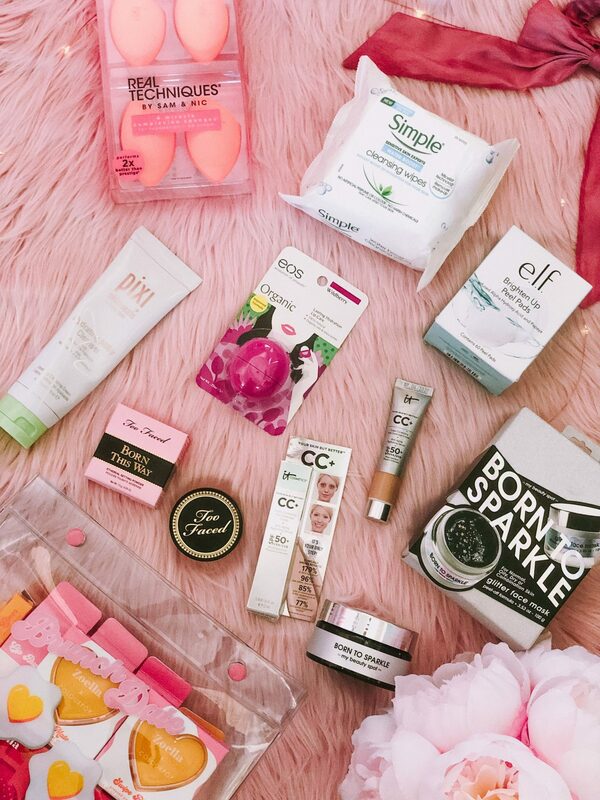 Makeup wipes are my spring essentials too! Love your recent purchases tho. It gives me an idea on the things I need to buy next! I have to try those peel pads from ELF. I haven’t tried those Elf products yet, but I love that brand! Will definitely give them a shot as well as the face mask. Awesome recommendations!